Hi, this card is for Paper Smooches designer draft challenge. 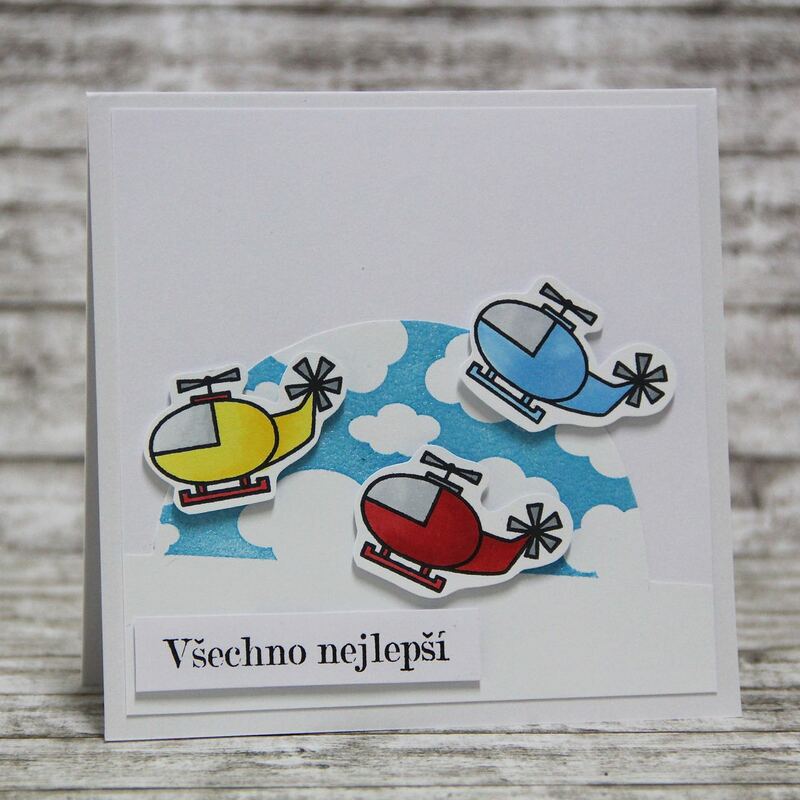 I made card for boy, full of helicopters. Sentiment is in my czech language and means Happy Birthday. This entry was posted in Challenge and tagged cardmaking, Challenge, Copic, Paper smooches. Hi, this card is for Paper Smooches SPARKS challenge with topic: anything goes. 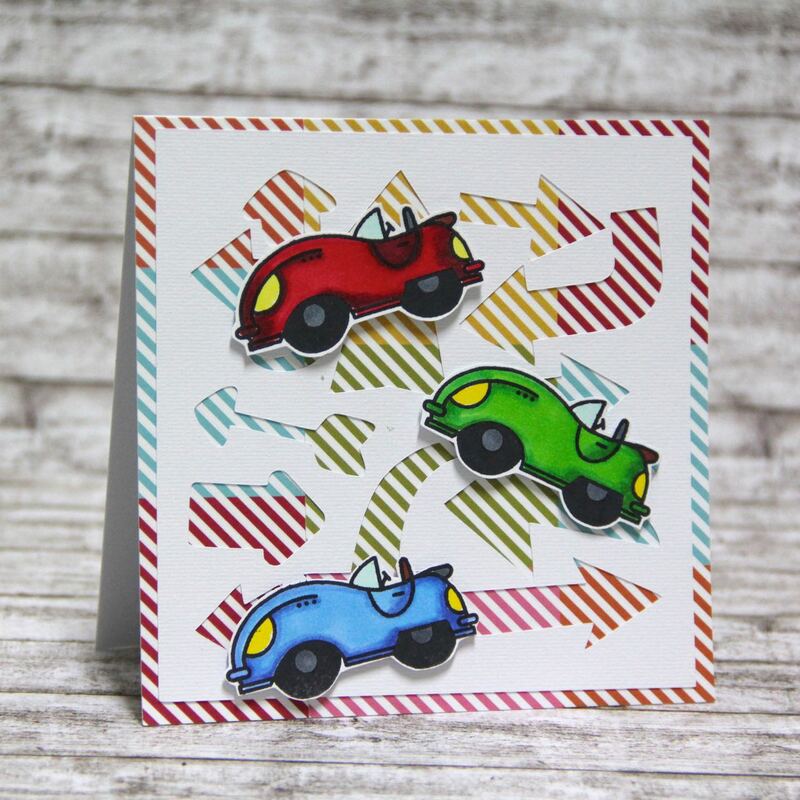 I made card for boy, background is just paper which I cut and glued as mixture background, than I used my cutting machine Silhouette cameo and I made stencil with arrows and finally I stamped cars with Memento ink, coloured them with Copics and cut with scissors. this card is for Paper Smooches Picture Perfect challenge. Firstly I wanted to make some romantic card but then I decided that I use pattern from background of photo and I make funny teenager card. 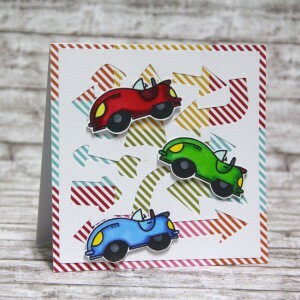 Background is made with stencil and embossing paste and green embossing ink. Than I stamped with Memento ink creatures and coloured them with Copics and cut them with scissors. I added sentiment and some sequins and stamped stars. 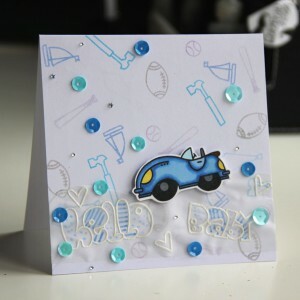 I think it is really funny teenager card with great Paper Smooches stamps. This entry was posted in Challenge and tagged Challenge, Copic, Paper smooches. 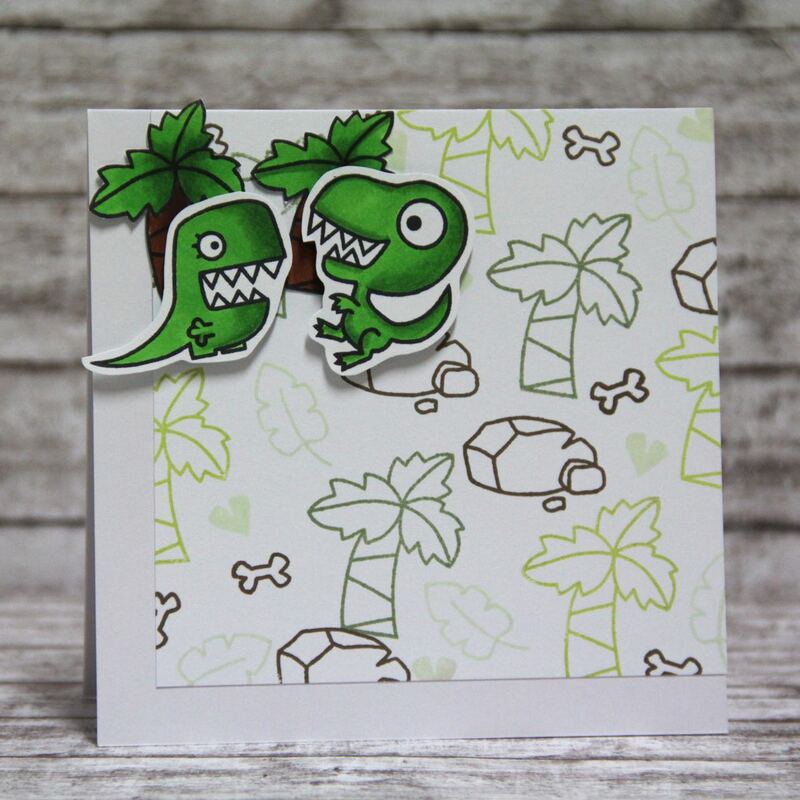 this card was made for Paper Smooches challenge with topic – anything goes. I used two stamp sets and mixed them into funny card for new baby boy.